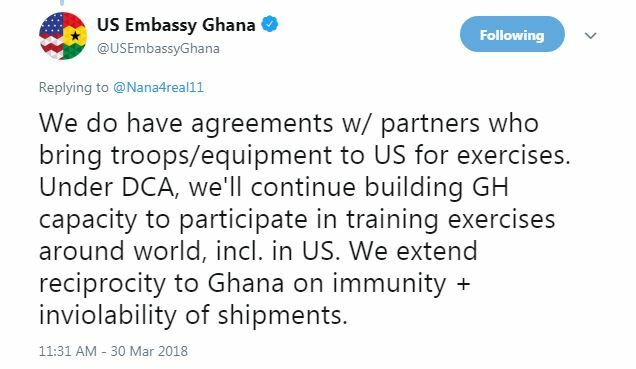 Over the past few weeks, Ghanaians have been debating the government of Ghana’s defence cooperation agreement with the United States. 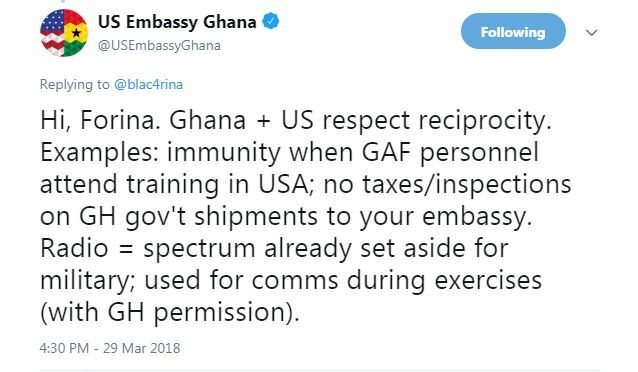 Under the agreement, Ghana will among other things host some US troops as well as give them free access to Ghana’s radio spectrum. 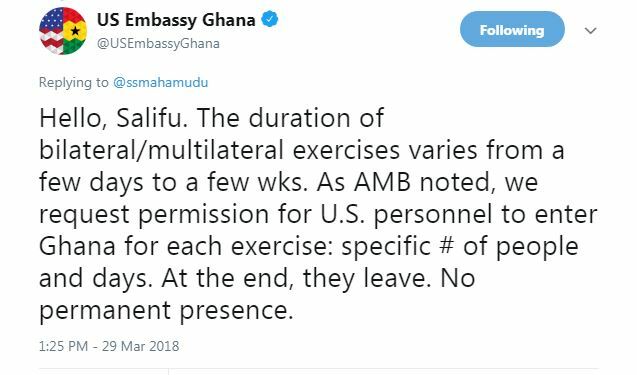 They will also be given unhindered access to some of the country’s key military installations, but many Ghanaians, including pressure groups, have kicked against it, arguing that given the clauses, Ghana would be indirectly selling its sovereignty to the US. 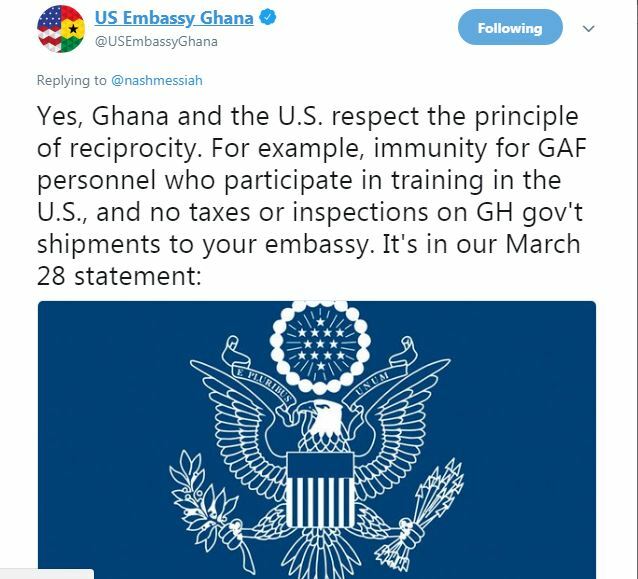 Both the Government and the US Embassy in Ghana have both attempted to provide some clarity on the matter, saying Ghana will not permanently host the US troops. 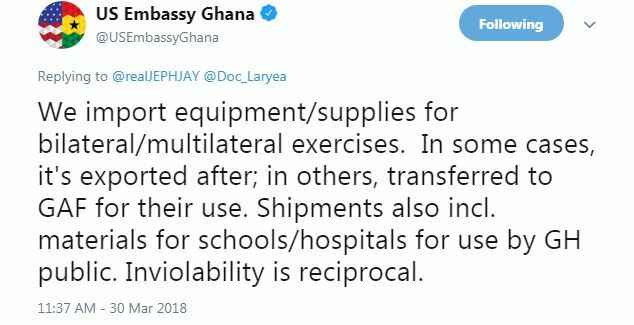 Despite these explanations, opposition parties last week organised a protest against the deal, insisting on a change of some of the clauses which may infringe on Ghana’s sovereignty. 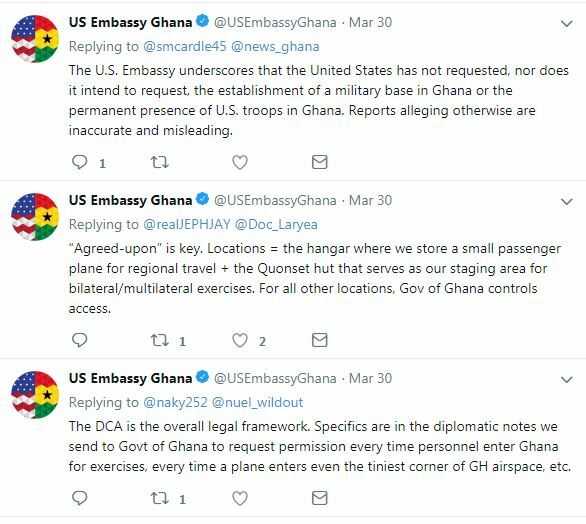 Thus, some Ghanaians have taken to Twitter to seek more answers from the US embassy account on the app. “Import and export without inspection of our immigration officials. This is a total mockery of our immigration laws. 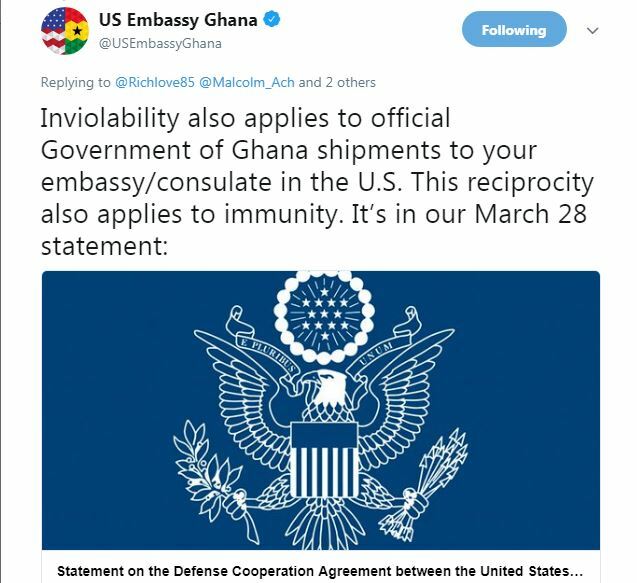 Only God knows what they will import,” Kamassah Richlove tweeted at the Embassy.